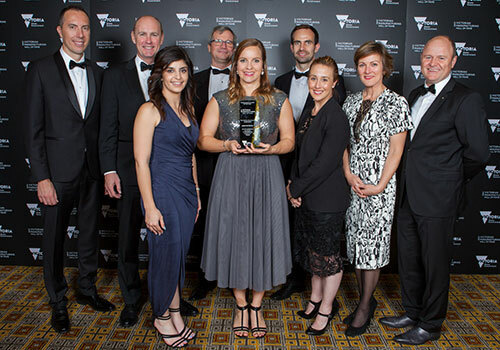 The Victorian Manufacturing Hall of Fame Dinner was held in Melbourne last week and a number of Victorian Ai Group members were acclaimed for their manufacturing performance and pedigree. 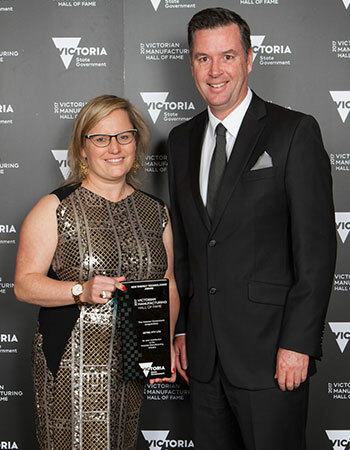 Longstanding member, Sutton Tools, was awarded the Victorian Manufacturer of the Year – Large for 2017. Managing Director, Peter Sutton, received the award and was delighted that his company’s contribution was recognised. Sutton Tools also received further acknowledgement by being appointed to the Manufacturing Hall of Fame. Sutton Tools celebrates its 100 year anniversary this year and these awards are due recognition for the position the company holds within the Victorian manufacturing elite. Another Victorian member, Major Furnace Australia at Clayton, was awarded the Victorian Manufacturer of the Year – Medium for 2017. The award was received by Andrew North, the Managing Director. 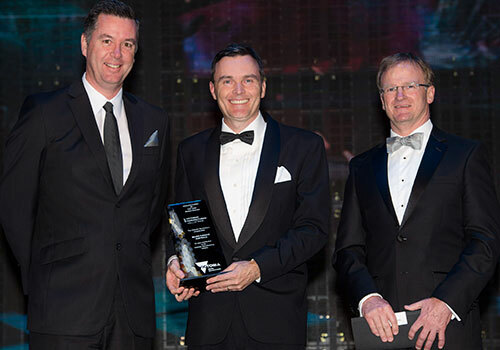 Scoresby-based member, Setec, was recognised in the awards for excellence in the New Energy Technologies sector. The award was received by Managing Director, Louise Bayliss, who was delighted that her growing company was held in such high esteem. Long-standing member Warren & Brown Technologies was also inducted into the Hall of Fame. WBT Managing Director, Neil Domelow, in accepting the Award, said that the company had been “in existence for 96 years” and he thanked the Government for the recognition. 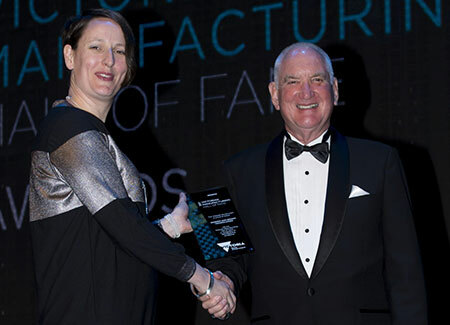 The young manufacturer of the year award was presented to Ann Koopmann, who works with Ai Group member Bombardier Transportation. Ms Koopmann was recognised as a valued member of the company’s leadership team and was commended for her strong engagement and management skills. 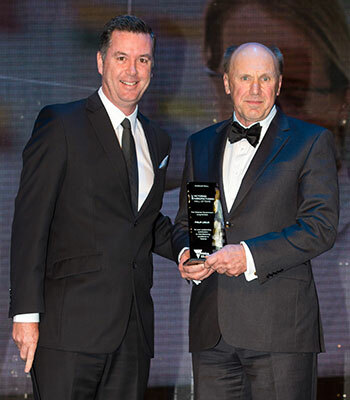 This year’s Honouree inducted into the Manufacturing Hall of Fame was Philip Leslie from member company GlaxoSmithKline (GSK). 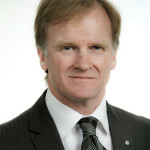 Mr Leslie has had 26 years experience with GSK and was recognised for using new technology to drive innovation and pioneer new techniques at GSK’s Boronia manufacturing plant. 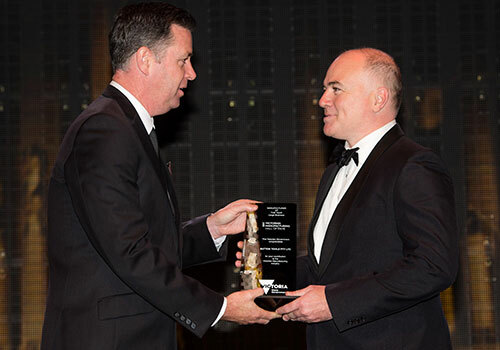 Other awards went to: Paarhammer, named Small Manufacturer of the Year; Impresa House, named for excellence in defence, transport and construction technologies; IDT Australia for excellence in medical technologies and pharmaceuticals; and Procal Dairies for excellence in food and fibre. In announcing the awards, the Minister for Industry and Employment, Wade Noonan, said that employment in manufacturing grew by around 40,000 jobs in 2016. 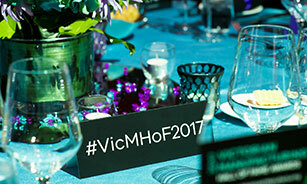 Did you attend the Victorian Manufacturing Hall of Fame dinner last week? 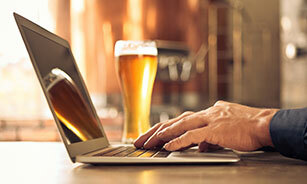 Share your impressions by leaving a comment below.